Global immunisation experts attending the biannual Regional Immunisation Technical Advisory Group (RITAG) meeting urged African countries to strengthen their routine immunisation. 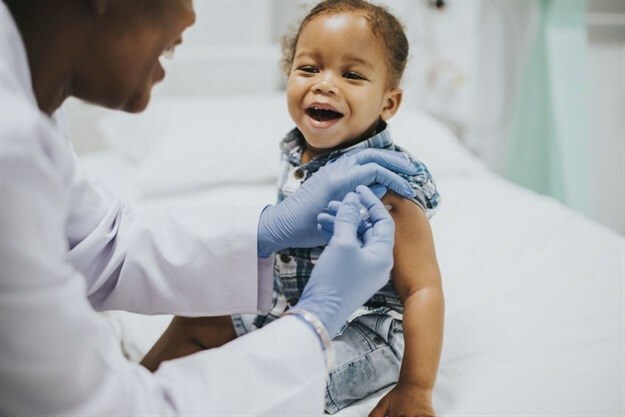 Over the past five years, immunisation coverage in sub-Saharan Africa has stagnated at 72%, exposing populations to vaccine-preventable diseases and outbreaks. The immunisation experts also emphasised the importance of increased domestic investment in disease surveillance and the need for community engagement to drive vaccine deployment during outbreaks. In sub-Saharan Africa, nearly 31 million children younger than five years suffer from vaccine-preventable diseases every year. More than a half million of them die due to lack of access to the vaccines they needed. In 2017, Heads of State from across Africa endorsed the Addis Declaration on Immunisation, a historic pledge that envisions an Africa in which every child, no matter their economic circumstances, has access to vaccines. This year will see the launch of the progress report, which will take stock of the headway made over the past two years, highlight gaps and issue recommendations to guide progress towards stronger immunisation systems. The immunisation experts gathered in Brazzaville also discussed a range of pressing issues, including the ongoing Ebola outbreak, polio eradication and progress against the Regional Strategic Plan for Immunisation. The Democratic Republic of the Congo is grappling with the second-largest Ebola outbreak in history, with more than 650 confirmed cases so far. Despite challenges in reaching areas marred by long-term conflict, nearly 60,000 people have been vaccinated, including approximately 20,000 health workers and front-line workers. The country’s Ministry of Health has launched its first randomized control trial for experimental Ebola treatments. However, continued efforts are necessary to ensure the outbreak is contained. In contrast, other diseases, such as polio, are on the brink of eradication. The last case of wild poliovirus in Africa was reported in August 2016 in the north-eastern state of Borno, Nigeria. If no new cases of wild poliovirus are detected in Nigeria by August 2019, Africa will attain the wild poliovirus eradication goal. As the world nears polio eradication, funds for fighting the disease are declining. Between 2016 and 2019, the Global Polio Eradication Initiative budget more than halved, from $322 million to $153 million. That initiative provides more than 90% of all funding for disease surveillance in sub-Saharan Africa, including 16 polio-funded laboratories that process clinical and environmental samples for acute flaccid paralysis surveillance (used for detecting poliomyelitis) and other vaccine-preventable diseases, such as yellow fever and measles. The RITAG emphasised the need for greater government ownership of disease surveillance programmes to ensure that the progress made in curbing vaccine-preventable diseases is not reversed.